Elections are increasingly being won and lost by data. The Data & Sons' Politics market provides a place for political professionals to sell and acquire voter, donor, PAC contribution, and election results datasets. 2016 Presidential Campaign Finance - How did presidential candidates spend their campaign funds? Context The Federal Election Commission (FEC) is an independent regulatory agency established in 1975 to administer and enforce the Federal Election Campaign Act (FECA), which requires public disclosure of campaign finance information. 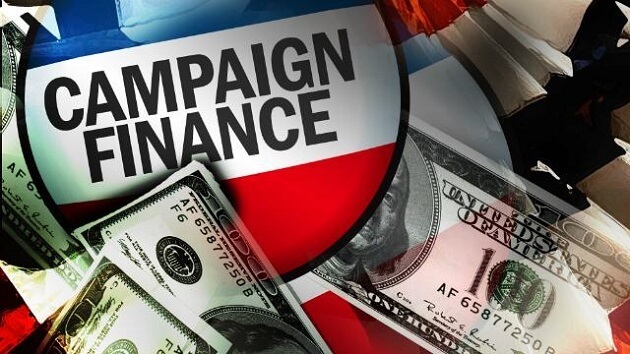 The FEC publishes campaign finance reports for presidential and legislative election campaign candidates on the Campaign Finance Disclosure Portal. Content The finance summary report contains one record for each financial report (Form 3P) filed by the presidential campaign committees during the 2016 primary and general election campaigns. Presidential committees file quarterly prior to the election year and monthly during the election year. The campaign expenditures file contains individual operating expenditures made by the campaign committee and reported on Form 3P Line 23 during the same period. Operating expenditures consist of the routine costs of campaigning for president, which include staffing, travel, advertising, voter outreach, and other activities.